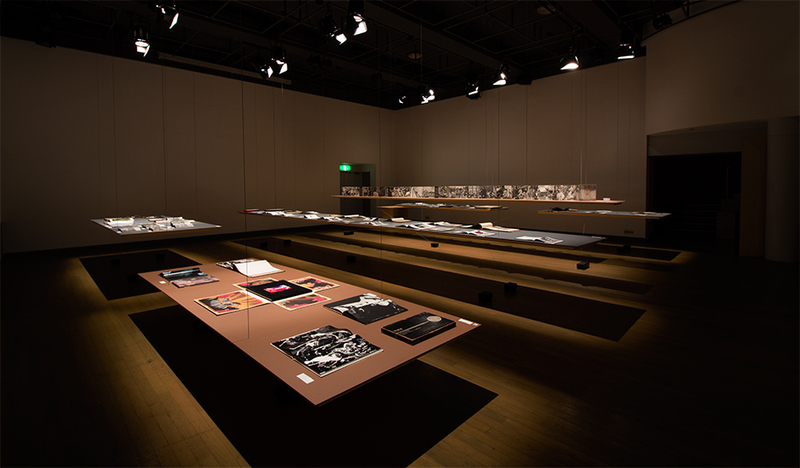 The aim of the exhibition is to introduce Japanese photobooks from a diverse and multilateral approach through media, design, printing techniques and publishers, inviting Ryuichi Kaneko, art historian and photobook collector, as a guest curator. 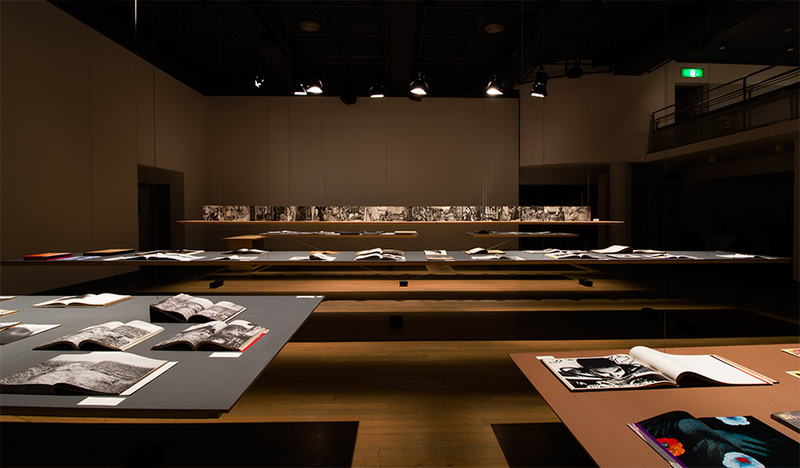 The photobooks are works of art that are born with superimposition of the printing technique of the era. In order to fully appreciate them, we designed the platform hang by the wire which gives unstable impression at first glance. This instability gives feelings of tension to the viewers, which becomes a barrier to the works, eliminating the needs for acrylic cases. The visitors are allowed for more direct appreciation and their experience become closer to the feeling of the owner. 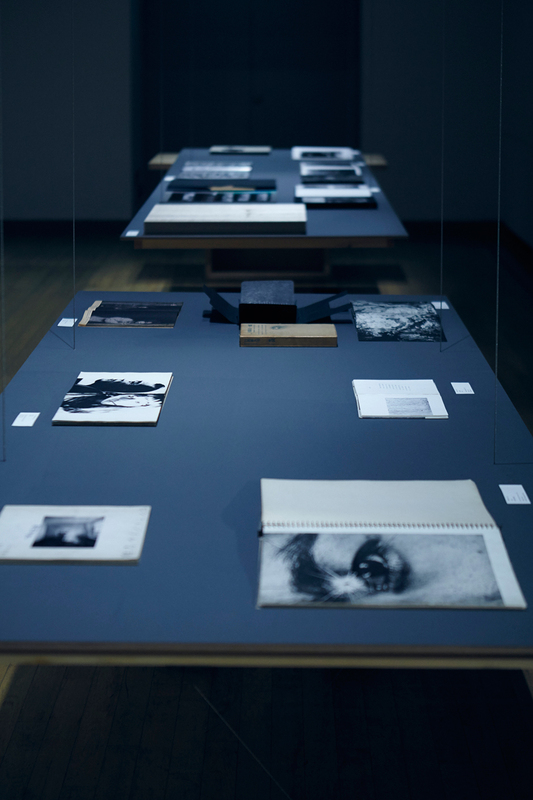 The suspended system by wire made it possible to freely set the platform height to match the characteristics of the photobooks. 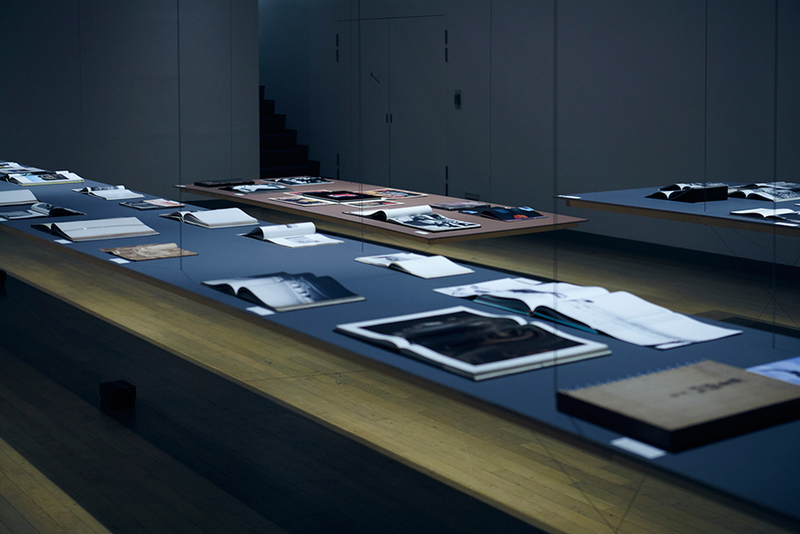 It also suited for the short-term exhibition of three days and the limited cost.